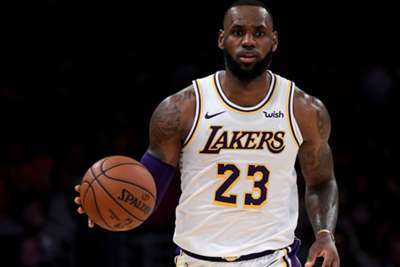 LeBron James would be in favour of the Los Angeles Lakers acquiring New Orleans Pelicans star Anthony Davis. The Lakers have been saving their assets and are considering attempting to deal for the 25-year-old big man, according to a report from ESPN last week. James discussed those trade rumours before Los Angeles faced the Brooklyn Nets on Tuesday. "That would be amazing," James told ESPN. "That would be amazing, like, duh. That would be incredible." Davis, one of the best players in the NBA, is averaging 28 points, 12.4 rebounds and 4.7 assists per game this season. He is shooting 50.3 per cent from the field and 32.4 per cent from three-point range. The five-time All-Star has spent his entire seven-year career with the Pelicans. He has two seasons remaining on the five-year, $145million extension he signed in June 2015. But, Davis can opt out of that deal after 2019-20 and become a free agent. The Lakers fell to the Nets 115-110 on Tuesday. The loss dropped them to 18-13 this season.